Echoes of slipping shoes and blowing horns filled the Brooklyn Expo Center as the Global Goals World Cup (GGWCUP) Finals took over on September 19th. Each competing team brought its version of fierce passion and irresistibly contagious energy. Although the women played to score goals on the field, their mutual objective was for a much greater cause. On one field, Moving the Goalposts from Africa reflected their culture in a lively pre-game display, while next to them a youth girls team from Connecticut played against women twice their age. Unifying this diversity created a unique atmosphere that flowed throughout the day’s event. By celebrating each other’s differences, each team also discovered shared similarities with the others. Each year, the IOC Women and Sport Awards are given to role models and change agents – women, men or organisations – who have made remarkable contributions to the development, encouragement and reinforcement of women’s participation in sport. On November 7 our founder, Majken Gilmartin, received the IOC Women and Sport Award Europe 2016 recognising her as a role model and change agent in the pursuit of gender equality in sports. It is a proud history to be part of. I will practice my gratitude my continuing the work for equal inclusion, safety and competition in women sports. On November 7th Majken Gilmartin was presented with the IOC Women And Sport award for Europe. She won the award for her tireless commitment and original work for women and girls in soccer. The first Dane to ever win this prize, Majken Gilmartin was awarded the trophy at a gala event in Lausanne by Crown Prince Frederik of Denmark. Lannister landing a new lead as UNDP Goodwill Ambassador. Today, Jaime Lannister aka Nikolaj Coster-Waldau – the actor with a key role in HBO’s Game of Thrones – will take on the role as referee at the Global Goals World Cup in NYC – his first job as the newly appointed UNDP Goodwill Ambassador. Nikolaj Coster-Waldau with Eir Soccer’s Global Goals ball yesterday at UNDP. Danish actor Nikolaj Coster-Waldau made his name in the 1994 thriller Nightwatch and numerous other screen roles before his major break as golden-boy knight Jaime Lannister, a.k.a. the Kingslayer, on HBO’s Game Of Thrones. The Global Goals World Cup is an open women’s amateur soccer tournament designed to expand the scope of a conventional sport event and draw on the perspectives of creatives, academics, and activists, to merge true global citizenship with the game of soccer. To qualify, teams have to play and take action for one of their favorite 17 UN Global Goals. 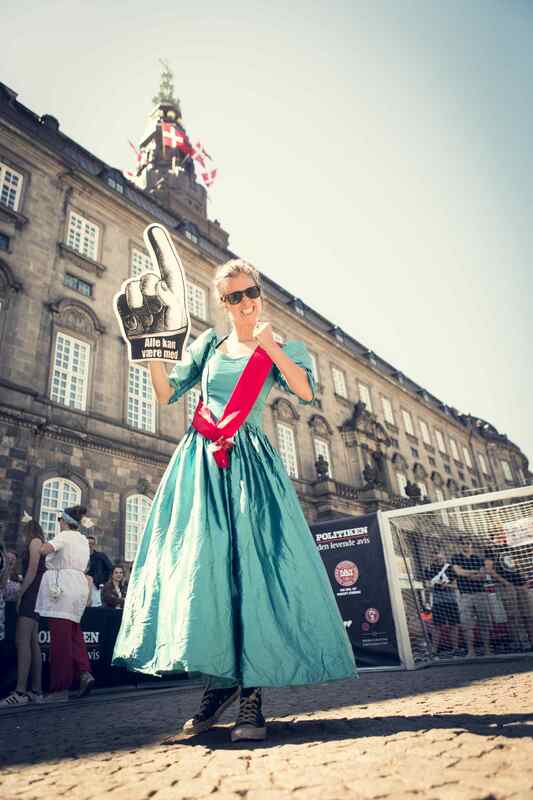 The Global Goals World Cup is powered by Eir Soccer and UNDP – who are proudly supported by Social Good Summit, Save the Children and The Danish Ministry of Foreign Affairs. Meet us here: ggwcup.com, twitter, instagram, facebook. Eir is setting up a global arena for women of all ages and backgrounds to experience the sheer joy of playing soccer and the meaningfulness of taking a stand for the world they want. In cooperation with the United Nations Development Programme and partners we are launching the Global Goals World Cup. Copenhagen is the 2016 host of the pilot tournament. The finals will take place in New York city during the UN General Assembly in September with attendance from the C40 Cities. By 2017 we expect the C40 Cities to host their own qualifying rounds for the 2017 Global Goals World Cup. A very warm thank you to all the people, peers, supporters, and professionals who show support to the Global Goals project. 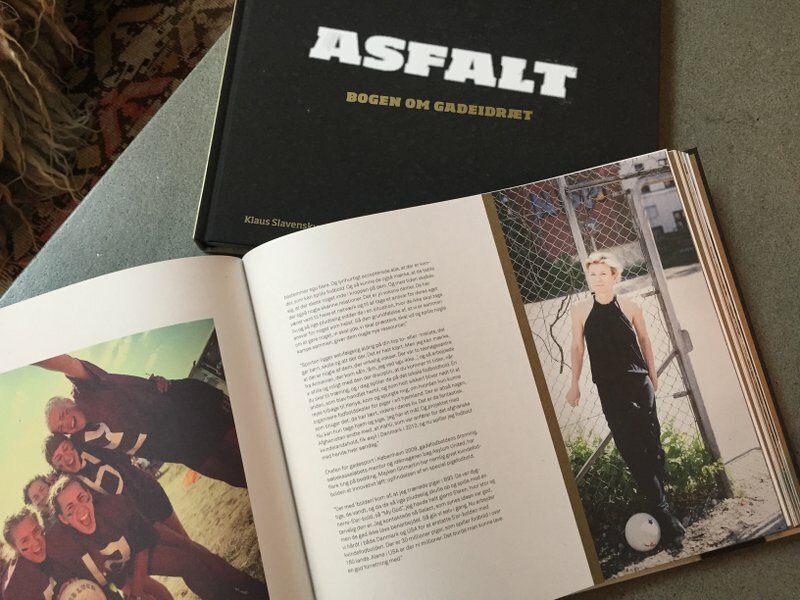 Asfalt is the name of a new coffee table book/big picture cool looking book about street sport. Asfalt brings a story and some cool pages about Eir’s work and influence in the streets… We are so honored and proud to be part of it. The Global Goals are set to achieve 3 extraordinary things in the next 15 years. Film director Richard Curtis is spearheading a campaign to make the UN Global Goals world famous when they are launched later in September this year. 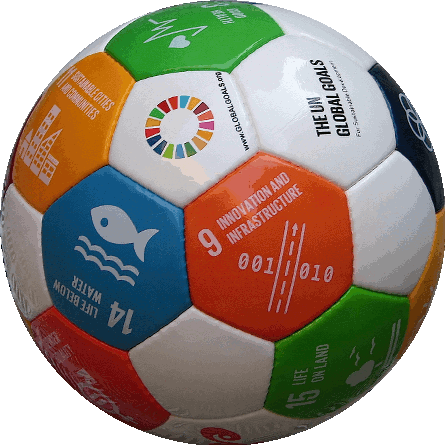 Eir Soccer has teamed up with the UN Global Goals and World’s Best News to help spread the goals and developed a soccer ball with all the 17 Global Goals to be distributed via Gain Health. Read more here. 46 female soccer players and gymnasts have been working together the last months to create a playful, inclusive physical school gym program for 2nd graders. A program that will bring the 17 UN Global Goals into play. Over a quarter of the world’s population is under the age of 14. It is the future of these generations that we are committed to improve. We need this generation to be familiar with the goals, but we also need their help. You can engage the generation of young people whose choices and creativity could make the vision of these goals a reality. Majken Gilmartin will speak at the Women Deliver conference at World Cup in Toronto this week. Keep posted to learn more about how we play by the inclusive model – i.e. 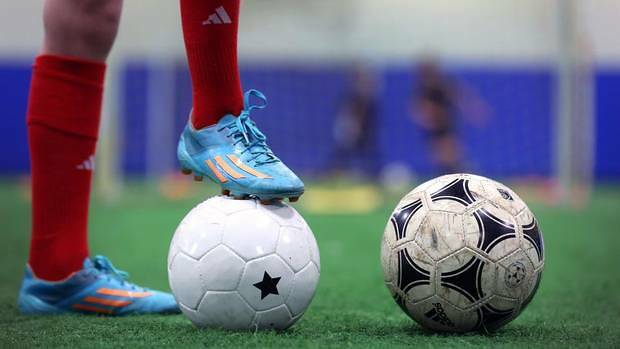 how we give every female the ability, confidence and desire to play soccer – and to replace ‘up or out’ with an option to be competitive, playful or recreational. Eir is introducing Eir Futsal. We have reduced weight and bounce to adjust the ball to games as they are typically played on smaller fields or indoor. And – of course – adjusted it to match women’s physics. The ball was introduced at the Do Democracy event, June 5 in Copenhagen and will be used in various tournaments / events throughout the summer. Get ready for street soccer, get the Futsal. (You may purchase it in our store). Watch the images from our Do Democracy tournament on our Facebook and Flickr sites. (See all our social sites here). The Do Democracy event celebrated the 100 year anniversary of women’s right to vote. Amazing street party. Before every game, the two teams had to decide jointly which rules to play by. Great fun. Great way of honoring democracy. The event was organized in cooperation with the Danish Soccer Federation, Copenhagen University and Politiken, the newspaper. UPDATE MAY 27: TEAM SIGN UP HAS BEEN TERMINATED, BUT YOU ARE MORE THAN WELCOME TO JOIN THE FUN AMONGST THE AUDIENCE. You can sign up for the Do Democracy Tournament on June 5th, 2015, using the contact formular above. You need to be 5-8 women on your team. We will play between noon and 5 pm. Please note, that it is very important that you dress up for the event. Feel free to get inspired at Eir’s social sites. As we approach the game date you will receive 15 rules of which you must select 5 rules in cooperation with you opponent team. It is all about having fun and – of course – Celebrate that we have a voice. We look so much forward to seeing you. The story is about Toronto Soccer Organization that makes the Eir ball mandatory for their U13 elite players – and in a greater sense about our sport and the way we can play ball: How we create the sense that it is okay to talk about smart adjustments and show players that we really are concerned about their injuries. That equal rights in soccer does not mean playing with the same size ball as men. That we will do whatever it takes to play great and safely. For the first time, Eir attended the NSCAA convention – 10,000+ soccer coaches in the same place over 4 days. It was a magical, warm feeling of being part of a ‘family party’ – great and deep conversations with so many coaches and other professionals, happy hour talks, 4v4 games, and class rooms… E.g. talks with Brianna Scurry about urban girls in sport and head injuries; with April former player and head coach of the women’s national team; with Anson Dorrance, the most winning college coach ever and former coach of the womens national team. Naturally, quite a few talks about our ball and why he believe our ball is a brilliant idea, about injury prevention – and even talks about tournaments in Africa. Particularly two women made this possible. VP of the NSCAA convention, Amanda Vandervort, and Chelsea Ladies head coach, Emma Hayes. Thank you, ladies, for inviting along and provide hosting at Marriott. Airbrush artist Georgina Billington is working with Mia Morgan on creating 2 new ball designs. 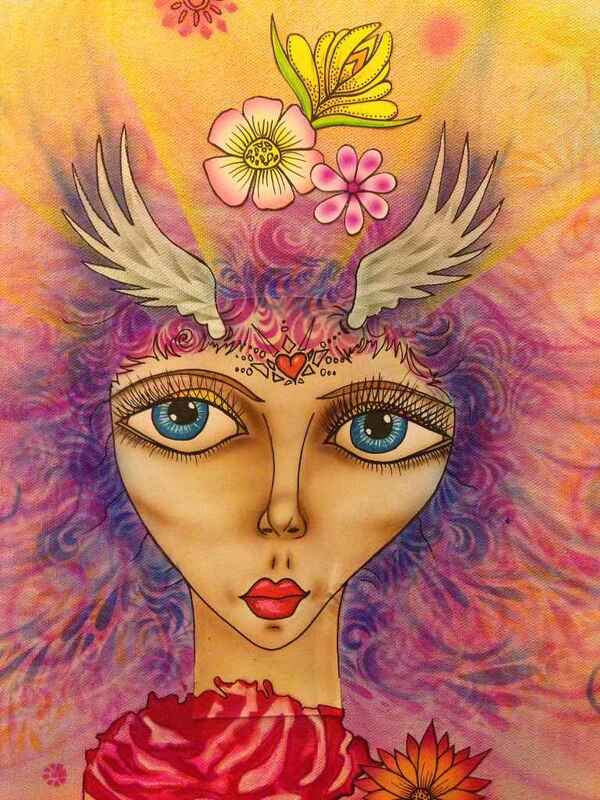 The goddess ball (strong ties to our company name) with the goddess EIR is surrounded by healing flowers; and then a playful mouth and eye ball. We love working with artists. 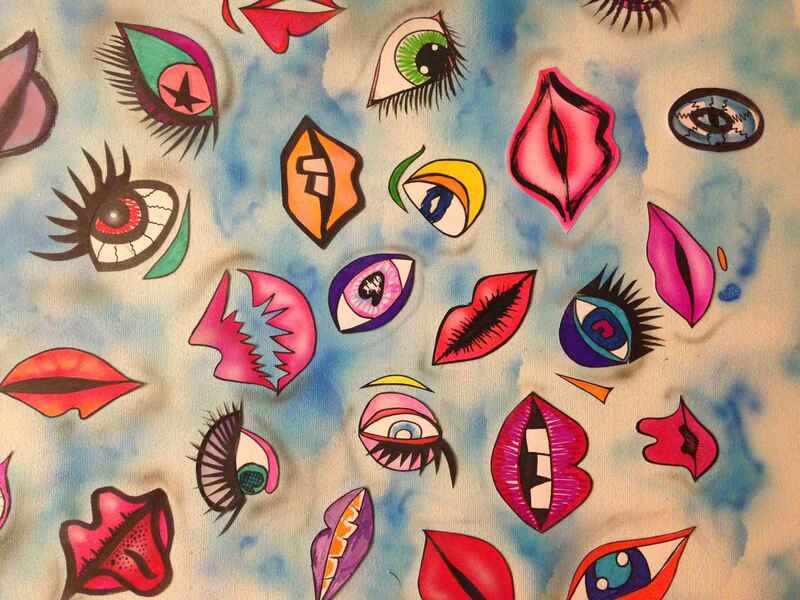 To see how they look at our world. Playful, colorful, amazingly beautiful.